Written by contributing writer Brandi of The Hip Hippo. Even though cloth diapering used to be the norm, I get many funny glances and remarks when I tell people that I cloth diaper my daughter. Cloth diapering drums up thoughts of folded diaper squares, diaper pins and hours of washing poopy, smelly diapers. Many people are shocked when I pull out one of my daughter’s diapers. “Oh my goodness, how cute! WHAT is that? !” is usually the common response. While many people do still use prefolds on their newborns, the world of cloth diapering has grown immensely. The next question is usually “Why do you use cloth?” Aside from the cuteness factor, it’s cheaper for us. We were spending $40 on expensive name brand diapers every week and a half to two weeks. Our daughter is a heavy wetter, especially at night. I was tired of spending that much money on disposable diapers, only for her to wake up from naps or in the morning soaked through her clothes. What happened to those leak guard guarantees? I was frustrated and looking for another solution. I knew that cloth diapers would probably be the best way to go. I had given it a whirl with my first son, but never put the money into having enough to cloth diaper him full time. I was familiar with the options I had, and the benefits of using cloth. I would always cringe when I thought of all the possible chemicals used in the process of making disposable diapers. There are tons of products that we once thought were safe to use on our kids that we now know are full of nasty stuff like formaldehyde. With cloth, you know that the soft cloth next to your child’s most delicate skin isn’t going to be rubbing nasty chemical residue on them. It’s also healthier for the environment. Newborns go through 8-10 diapers a day. At the end of a baby’s first year that number can grow to 3700 diapers. Where do all those diapers end up? In our ever crowded landfills. Not to mention the fact that most parents do not dump their child’s solid waste into the toilet before throwing their disposable diapers in the trash. Human waste in a landfill can spread sickness and disease. I will admit, when we had our son, I never knew you were supposed to flush before throwing them away. I ultimately chose to use pocket diapers for my daughter - it fit with our lifestyle and needs. There are many different cloth diapering options to choose from, unlike in the years passed when our grandmothers used cloth. Our grandmother’s cloth diapering consisted of prefolds and pins. Prefolds are pieces of cloth that are folded down and used as a diaper. They were fastened closed with a diaper pin, a and covered with some type of waterproof cover. Using prefolds today hasn’t really changed much. There are Snappis now, instead of diaper pins. Snappis are a “T” shaped product that grabs onto the prefold at each hip and between the legs which allows for quicker and easier fastening. Prefolds require a waterproof cover. Some examples of covers are fleece longies (either with newly knitted ones, or recycled from an old wool sweater), a fleece cover (again, newly sewn or recycled), or covers that resemble a diaper made with polyurethane laminated fabric (PUL) and have a snap or aplix closure. Basically, if it’s waterproof, you can turn it into a cover! of pockets is they allow you to control your absorbency. They have an opening, usually in the back waist of the diaper which allows you to stuff them with your choice of insert. Insert options are numerous. You can buy already made inserts, which are usually made of layers of flannel, micro fiber, bamboo or hemp sewn together. You can also use more cost effective inserts like micro fiber towels from an auto parts store. These are what I use. You can usually get five in a pack for $5. You can also make your own with scraps of fabric as an even cheaper method. No need for pins or Snappis for pockets, they usually have a snap or aplix closure. You can buy pockets in a variety of prints and colors. Most fabrics are backed with PUL. You can also get pockets in fleece. These require no PUL because fleece repels moisture. Fitteds are a step between prefolds and pockets. They are made of two to three layers of fabric. Some come with an extra soaker for added absorbency. Sometimes this is a lay-in soaker, other times fitteds will come with the opening in the back like a pocket to stuff in an soaker. While fitteds are shaped like pockets, they are not waterproof. They do require a cover, like a prefold. Fitteds come in a variety of colors and prints as well. All-in-ones (AIO’s) are just like pockets, except their inserts are sewn into the diaper. While you can’t control your absorbency as much as a pocket, you can use lay in soakers if more absorbency is needed. AIO’s cut down on laundering time - no need to unstuffy the pockets to wash, and then restful to use again, but their drying time can sometimes be longer depending on how they are made. A lot of people use prefolds for newborns - in their opinions it contains the runny newborn poop better than any other style. As babies get older, they then transition their stash to fitteds or pockets, or a combination of the two. Pockets and fitteds come in sizes (Small, Medium, Large) with a variety of snap options on each size. This allows for better customization to the baby’s body shape. Jumping into the world of cloth diapers can seem overwhelming. There are a lot of choices to consider. There is no set rule on how to cloth diaper a baby. Do your research on each brand and style before you buy. Make sure you know if the diaper you buy needs pins or a cover, or if it comes with inserts. The best way to see what works for you is to buy a couple of each type and test them out. You may love the design and features of one diaper, but it’s shape just won’t fit your baby properly. Most of all have fun with it! One of my favorite parts of cloth diapering is educating people about today’s cloth diapers - how cute they are, how many different choices we have, etc. You never know, you might make a new mommy friend while helping her make a greener, healthier choice for her family! We cloth diaper Shae and it is easier then people think. I was opossed at first but it is a no brainer now and I am glad we did. We are saving the environment one diaper change at a time not to mention all the CASH we are saving. Another great post. It really is so easy to use the newer cloth diapers. 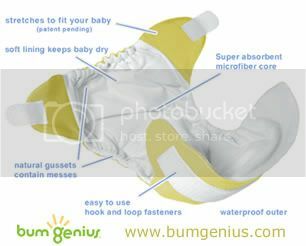 I too get lots of amazed feedback when relatives and friends see our Bumgenius diapers in action. I used prefolds in the beginning, and to be honest, I didn't like them. They just felt too bulky, and I always ended up with a mess trying to rinse them in the sink. The Snappi was awesome though, as I can't imagine having to struggle with diaper pins and getting everything tight enough. I urge all of my friends with babies to try cloth diapering. It's the best thing I've done for my son (second to breastfeeding), and it's really not that hard, especially as they get older and have less poopies! So glad that more and more people are taking the time to learn how new and completely different cloth diapering is now! Thanks for such a concise, informative post! Cloth diapering three kiddos for a total of six years and counting! This is a wonderful post. I have always wanted to know more about cloth diapering. We use sposies and gDiapers. I am going to have hubby read this! Thanks. 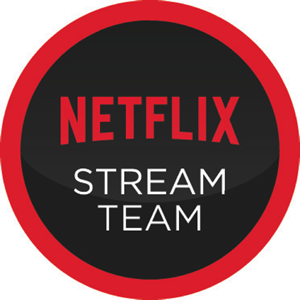 I subscribe now and am adding your button. Thanks for this very informative post, it's made cloth diapering seem a little less daunting to me. This is great. I had no idea cloth diapers were so flexible. What a great post! I cloth diaper 1/2 time, but people really are surprised to see just how easy it is!